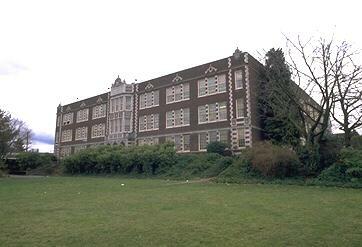 James A. Garfield High School is one of the flagship high schools in the Seattle Public Schools. Originally opened in 1923, the buildings and grounds will undergo a $78.8 million renovation starting in June, 2006, and completing in September, 2008, under the aegis of the SPS Facilities Department. The Garfield School Design Team is composed of faculty, staff, students, parents, alumni, and friends of Garfield, and its purpose is to assist the architects and Seattle Public Schools building renovation professionals in creating a world-class design for the rejuvenated Garfield High School physical plant. If you have questions or comments, please see the Frequently Asked Questions section. If you don't find answers there, then please contact us. This site was created on March 14, 2003, and is maintained by Ben Slivka to facilitate internal communication between the Garfield School Design Team members and external communication with the Garfield High School community. Ben graduated from Garfield in 1978 (his brother and two sisters also graduated from Garfield), and is also a founding director of the Garfield High School Foundation. Ben is responible for all costs associated with hosting and maintaining this site. Last updated Tuesday, September 7th, 2004.